Pastor Jason Cooley in a SermonAudio homily counseled Christians celebrating Christmas that the holiday is not a hill to die on. Those insistent upon continuing to do so only look foolish. As opposed to what? That particular pastor's own brand of legalism elevating his own idiosyncrasies to the level of a clearly delineated dogma? In a SermonAudio oration on the myth of nonessential doctrine, Pastor Jason Cooley insisted that the Emergent Church movement is the child of Fundamentalism because of the Fundamentalist movement's propensity towards compromise. However, it is also the result a wing of Fundamentalism to clamp down on things where there is no clear mandate provided by Scripture other than individual conscience. Often in their repeated emphasis about children being born inherently sinful and wicked, it would be helpful if these particularly rigorous Reformed theologians would clarify that such a soteriological observation is not being invoked to justify the mistreatment of such unsuspecting youngsters. For from the manner and in the contexts in which this reminder is proffered one almost takes away the impression that the ones making such verbalizations would enjoy nothing more than beating a small child senseless for the smallest infraction in the eyes of some aging prune neurotically obsessed with finding as many faults as possible. An episode of Generations Radio addressed the topic of “Why Science Fiction Authors Tend To Be Atheists”. For one thing, Christian youth that might have skill in that genre are not often encouraged by their private school educators to pursue opportunities in such areas. About the only vocational guidance they are given regards the foreign mission field. That is fine and dandy that there is concern for the Pygmies and Hottentots. But what about outreach to Americans through their own cultural idiom for a change? Shouldn't there be greater outrage at President Obama speaking at a mosque with ties to Islamic terrorism/extremism than presidential candidates that spoke at Bob Jones University in the days when the school forbade interracial dating? What did Ben Carson think that other candidates and media pundits were going to speculate as he rushed back to Florida to do his laundry as the caucus process was reaching its crescendo? Makes you wonder how many times he pulled something similar in the operating room. More importantly, it also gives one pause to consider if he can handle the pressures of the Oval Office is a campaign where no lives are directly on the line causes near exhaustion or an emotional breakdown. Regarding the schools that are requiring students to telework during snow days. Are the schools going to pick up the tab for Internet access or tech support? Contrary to what was insinuated from a pulpit, there are dangers in the contemporary church other than a critical spirit. Isn't it an example of the critical spirit to be critical of the critical spirit? And perhaps most importantly, at times isn't what is viewed as a critical spirit actually discernment? In a sermon illustration, a pastor poked fun at a hypothetical parishioner that spotted the alleged shortcomings of others at the worship service such as immodest dress and signs of inebriation. But isn't that Christian merely applying that they have been indoctrinated regarding for years by the kind of pastor now spoofing such exercise of judgment. There is rarely any winning at this sort of thing if you are a mere pewfiller. On SermonAudio, a pastor remarked that a person ought to abide where God has placed us. In other words, one ought to simply obey and not question those invoking a higher status over and above you. In a sermon, Gideon was mocked for hiding in a wine press. What is so wrong with hiding from an adversary tactically superior in number to you prior to your receiving direct revelation from God regarding what to do about the situation. There is no winning with these kinds of ministers. If Gideon had decided he had had enough and was going to slay any Mideonites coming in his direction, we would have been subjected to an endless number of homiletical expositions about vengeance being the Lord's and why Gideon was in error for failing to instead appeal for the intervention of the civil magistrate. It was said in a SermonAudio podcast that most people like themselves too much in terms of self esteem. As proof of this out of control ego, the theologian presented the example that most people clothe and feed themselves. Are we supposed to sit passively and wait for the church consistory or deacon board to determine the privilege of what provisions with which we are to be bestowed? In a discussion of the impact of talk radio upon the political process, home school activist Kevin Swanson suggested that the believer should be leery of the hosts such as Glenn Beck, Michael Savage, and Rush Limbaugh that are divorced. It was a wonder such a fanatic did lump in Laura Ingram or Monica Crowely for simply being female. There was no divine mandate from Heaven barring access to the airwaves or the First Amendment those than have been divorced. Mass communications is not an explicitly church office. And what about forgiveness? If these figures are to be banned from non-ecclesiastical occupations on the basis of divorce, should the radical Christian Reconstructionists or Dominionists ever seize power, what is to prevent them from implementing a religious caste system similar to that found in Hindu India that would ban all but the most doctrinally rigorous from certain professions? In condemnation of talk radio that he categorized as secular, Kevin Swanson warned that hosts must be careful to obey the admonition of not mocking rulers or dignitaries. But America, the authority is actually the Constitution; not the occupant of a particular office or even the office itself. So just how debauched can the offices be that we are obligated to respect? Must Hugh Heffner and Larry Flint be respected as the dignitaries of their respective firms (that being their respective businesses and not the assorted carnality they peddle)? Does this deferential respect also apply to the Anti-Christ and False Prophet which are just as much offices as they are personalities? In condemnation of radio talk shows that might be considered more secular in that the programs do not constantly beat you over the head with direct Scriptural quotations in regards to every issue addressed, homeschool activist Kevin Swanson criticized the medium for the failure to emphasize that it might be God's sovereignty to turn the reigns of government over to the tyrannically reprobate. So does that mean when the jackboots come to ravish and debase the daughters of homeschoolers that the truly godly such as Pastor Swanson would encourage surrender to and applaud such defilement? Towards the end of the Dec. 23, 2015 issue of Christian Century, readers are urged to click through to Amazon.com from the publication's website. By surfing that particular route, the Christian Century will earn a percentage of anything purchased. But isn't that part of the capitalism that the religious left any other time denigrates as systematic oppression and undermining face to face COMMUNITY exchange? In condemnation of Donald Trump, Cal Thomas during a Chicago radio morning show interview castigated the assembled at the candidate's rallies as mostly old and mostly White. But can you really get much older or Whiter than Cal Thomas? By the standard appealed to by Thomas, was the widespread destruction of property in Baltimore and Ferguson mitigated by the predominance of minority faces in the mob? Does Thomas now flagellate himself for the White privilege that has played a role in enabling him to become, as he bills himself, the nation's mostly widely syndicated columnist if such racial pandering has now become part of his stock and trade. Instructive, Donald Trump confessed that he is capable of transforming into anything that he needs to. In a campaign commercial, Hillary Clinton assures the child of illegal aliens during a loving embrace not to worry about the disposition of her parents and to leave that to Hillary. Will similar gestures of comfort be extended to the distressed offspring of members of the Bundy Militia or those whose parents have been financially ruined for failing to comply for reasons of conscience with gay marriage mandates? For is not violating immigration law as much a violation of the duly promulgated laws of the land as these politically incorrect causes? In an examination of President Obama's 2015 National Prayer Breakfast remarks comparing recent Islamic violence with that committed by Christian's centuries ago, homeschool activist Kevin Swanson observed that both Islam and Roman Catholicism have both made the error of being faiths inordinately concerned with power and its accumulation. And Swanson's own theological persuasion of Calvinism has been immune from this particular temptation? Servetus might insist otherwise. Swanson, ministering with the Orthodox Presbyterian Church, would no doubt likely align himself with Christian Reconstructionism or a Postmillennialism that insist that a feckless Christ is not able to return until optimal sociopolitical conditions are achieved. So apart from power (the ability to make people do that which they would not otherwise often under threat of violence or actual violence), how does Swanson intend to implement his sect's particular peculiarities? In his tremendous consumption of fossil fuels and the expansion of his carbon footprint, Pope Francis appeared on the border between Mexico and the United States as part of a staged pity party on behalf of the swarms of illegals violating the sovereignty of American territory. He went as far as to insinuate that Donald Trump was not even a Christian. Does this mean that the Pope will celebrate the conspicuous disrespect of Vatican property and decorum? Let's see if the Pontiff remains similarly broadminded if he is awakened in the middle of the night by raucous music and the uninvited wantonly urinating on the floor of St. Peter's Basilica. “Pete's Dragon” is being remade. But from the trailer, it looks like this interpretation won't be a family musical. Instead, the narrative looks to be constructed as a serious fantasy. Just wait until “Mary Poppins” gets a similar treatment. No longer will the chimney sweeps be depicted as happy-go-lucky as they dance across the rooftops of London. Most likely these laborers will be depicted as oppressed proletarians suffering a variety of chronic health problems. And forget about the tunes “A Spoonful Of Sugar” or “Feed The Birds”. Child nutrition and animal welfare activists will probably put an end to these beloved classics. Greta Van Sustern is celebrating her 3500th episode on Fox News. I remember back when her primary focus was serial killer of the week. In a recitation of his sins at the National Prayer Breakfast, NASCAR personality Darrell Waltrip enumerated among these transgressions being aloof. Aloof is defined as being emotionally distant, reserved, or unwilling to take part in things. This might be an era where one of the primary modalities of Christian fellowship consists of regurgitating the contents of one's inner being for group condemnation on a level just below that of what would take place in a Marxist prisoner of war camp. However, so long as you politely nod to those greeting you as you saunter through the church narthex Sunday morning, I've yet to find a Scripture condemning those that primarily stay to themselves. In reference to Donald Trump, Marco Rubio hypothesized that, if a candidate despised by nearly fifty percent of the party wins the nomination, the Republicans will implode as they turn on one another. So why are Trump supporters obligated to betray their convictions and fall in line dutifully behind Rubio? Why shouldn't the Marcoists be the ones to stifle their dissent and relent to Trumpian preferences? In an examination of alleged rebellion in the church, Pastor Jason Cooley compared rebellion in the sacred assembly to rebellion within the context of the biological family. As an example, the pastor provided the illustration of a husband telling his wife to do one thing while the wife responds how she feels led by the Lord to go in another direction. But provided that either alternative is equally godly, wouldn't a loving husband take into consideration what the wife had to say and perhaps in many instances even defer to her suggestion? So why wouldn't a pastor worthy of respect as such do similarly? Rev. Cooley insists that, since such indolence would not be tolerated in the home, it should be just as quickly punished in the church. Pastors insisting that they should be obeyed without question or hesitation like a parent in general and a father in particular need to be reminded of a fundamental assumption that cannot really be altered. That is you have no say into what family you are born; however, an adult is perfectly free to up and leave any church in which they do not feel that they are being respected as a free human being. This legalistic pastor admonished in this same homily posted at SermonAudio that one cannot have a foot in what would be considered a strict congregation in terms of the expectations imposed upon the members and the other foot outside in terms of refusing to relent to pastoral obedience. So does Cooley intend to bestow a blessing upon those that depart such congregations to attend those that still adhere to essential Christian doctrine but which do not deem it necessary to clamp down so tightly regarding secondary matters? Or will he hint at Hellfire in the attempt to frighten people from looking for more psychologically or methodologically balanced churches? In this sermon, Pastor Cooley also criticized those that set out to establish churches on their own without proper authority. By that, does that mean he intends to repent of being a schismatic and to return to the Roman Catholic Church? I am an outsider who for various reasons ranging from personal blunders (such as taking his advanced degree from a crap doctoral program in an unranked university) to circumstances beyond his control (affirmative action) never found a tenure-track job in academia. I've since embraced my status as an outsider and gone into self-imposed exile living in a foreign country fairly well away from the avalanche of stupidity that has largely consumed the U.S. over intervening years. Being an outsider isn't necessarily bad! One sees things the insiders miss! And if one chooses to continue thinking, one does one's own, and draws appropriate conclusions. One of mine is that the most salient fact about academia in our time is the dubiousness of nearly everything of import that comes out of it. This calls for a separate and far longer essay. In accordance with this stance, however, I’ve been increasingly inclined over the years to make up my own mind about matters of philosophical theology, and of faith. I am unimpressed by the tenured faculty member (or devotee of such) who wears his atheism as a badge of honor, unless he can show that he or she has actually read a few lines of the New Testament — or has an explanation for those curious events many of us have experienced that don’t quite add up given the materialist view of the universe, or can account for our actual lives as moral agents with a moral philosophy that can be sustained under truly rigorous criticism. All of which sets the stage for our topic today. These days I think of myself as a Kantian-Kierkegaardian Christian. What does that mean, and how does it differ from some kind of fundamentalism? Does it speak to moral philosophy? In this piece I will be primarily concerned with the first: what a phrase like Kantian-Kierkegaardian Christian drives to articulate. I’ve long maintained that Western civilization is the scene of a long “cold war” between two worldviews. I wrote a slim book about this back in 2004 (published in 2005). 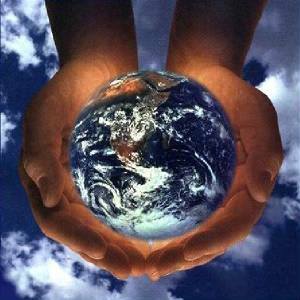 Its title was Worldviews: Christian Theism versus Modern Materialism. The title tells all. One worldview is that of Christianity. The other is materialism, or materialistic naturalism. There are other worldviews in the world, of course (example: Islam), but they are not major players in Western civilization, at least not yet. And there are variations on both Christianity and materialism. There are the many Christian denominations, leading to arguments over how you identify a person as a Christian. And there is Marxist materialism, which differs quite a bit from the varieties of materialism found in the so-called capitalist world, including that of the academic capitalism of the neoliberal university. I am more interested in what these have in common than where they differ. What all forms of Christianity have in common is the existence and centrality of the Christian God, and the believer’s fealty to His dictates, including how Christian salvation occurs (we are born in sin; Jesus Christ offers salvation to sinners; we do not save ourselves through works — Ephesians 2: 8 – 9). Prior to these matters for the Christian philosopher, however, is a question far more basic: can God’s existence be proven? Should attempts to prove His existence be made? These are two of the most longstanding debates in philosophical theology. The upshot of over 2,000 years of conversation is: probably not. The three most widely studied arguments for God’s existence of interest to philosophers, the ontological, cosmological, and teleological arguments, all face well-known and daunting criticisms. But where do we go from here? is the really interesting question. We can, of course, simply become atheists. But atheism does not follow logically from the failures of the arguments. How about agnosticism? Agnosticism might seem to be on safer ground epistemologically, but not existentially. Sooner or later, you must choose: belief or unbelief? You must commit to one or the other. And be willing to accept the consequences. To choose agnosticism is to become an operational atheist, one who lives life under the assumption that God does not exist. One may deem the whole matter irrelevant to practical affairs in the Secular City. To refuse to talk about it and live a life under the assumption that belief in God has no part to play in it is again to commit to God’s nonexistence. Are there grounds for belief, absent a decisive argument for God’s existence? Is an argument for the existence of a Being such as God even a good idea? This was our second question above. An argument is possible that attempts to prove God’s existence with logic, e.g., to ground the necessity of a Prime Mover on Logos, is not a good idea, and that such efforts really are a misuse of whatever rational faculties we have, however understood. From the German philosopher Immanuel Kant (1724 – 1804) we obtain the idea that the human mind is structured to operate in a world of three dimensions plus time. He developed this idea in great detail in Critique of Pure Reason. To make this as easy as possible and hopefully without oversimplifying too much, Kant had the idea that the world of experience is a kind of construction of consciousness, via forms of intuition (space, time) and categories of the understanding. Reality apart from the constituting human consciousness is an unknowable Ding-an-Sich (thing-in-itself). 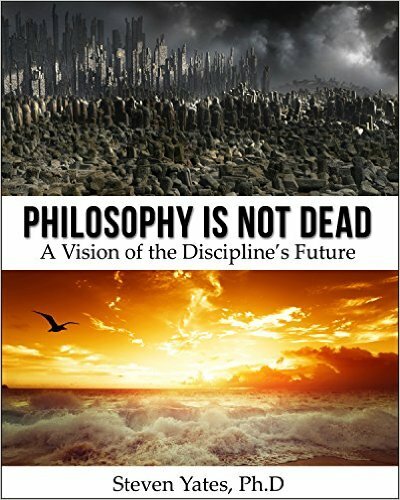 What Kant had realized (among other things) was that traditional philosophy in the hands of both the rationalists of his homeland and the British empiricists had come essentially to a dead end. The latter in particular assumed that we begin with neutral experience (“impressions,” Hume called the units of experience with which we begin). Kant launched what he called a “Copernican Revolution” in philosophy by introducing the idea that instead of our concepts or categories conforming to putatively neutral experience, our experience conforms to a priori categories of the understanding. The human mind, that is, is an active shaper of the world of experience, not a passive recipient of it! To make this more accessible, all we need to say is that we cannot step outside our humanness, to see what reality looks like from a totally neutral vantage point, outside the structure our cognition, or conscious intellects, bring to experience. We cannot cease being human. As the saying goes, we do not have a “God’s eye point of view.” If God exists, only He has a “God’s eye” perspective outside of three-dimensional space plus time. Subtract the theistic element here, and we have what has been a common theme of much philosophy since the collapse of logical positivism, explaining the increasing importance assigned to such matters as historicity, culture-centeredness, and so on. For if it is true that we cannot cease being human, nor can we cease being members of particular cultures, or divorce ourselves from their histories. How to construe these apparently genuine limits on our cognition remains a problem, because if they are pursued too far in the extreme, they lead to various forms of self-stultifying relativism and subjectivism, the postmodern trap into which most of the humanities world has fallen over the past half-century. A realist, non-constructionist version of Kant’s ideas is possible that would enable us to avoid a variety of problems. It would hold that the objects of our our world of experience, physical nature, that is, is real insofar as it goes, as indicated by our ability to act effectively in it, learn how its parts (e.g., physical objects and processes) work, and manipulate them to meet our needs (technology, or technique). The objects of experience, that is, are real, but our experience is only of certain elements of them. I have a visual experience of the table my computer is sitting on as I type this, that is, but not of the atoms and molecules which comprise the table, and given the limitation of my visual perception resulting from the way my eye, optic nerve, and visual center in my brain is put together, this is to be expected. Physical nature extends well beyond the senses, in other words, and this is the testimony of modern theoretical physics. Physical nature, in this case, hardly needs to exhausts reality (the difference between materialism and all other worldviews). Theoretical physics appears to support this idea as well. Theoretical physics is based on higher mathematics, not experience; higher mathematics is, in turn, based on necessity. It is not arbitrary, even if we can find many cultures that make no use of it. The mathematics of, e.g., superstring theory, appears to require higher dimensions: nine, according to one count (the number may have increased). The details are unimportant for our purposes. All that is required is that we have a realist ontology about mathematical entities, as it is unclear what an alternative ontology (nominalism?) would amount to. There are then two kinds of realist ontology: the Platonist one and the Christian one. The Platonist one leaves mathematical entities as inexplicable primaries. The Christian one supposes that God is the Ultimate Mathematician! We find ourselves with a transcendental Christian realism vastly different from the world we experience. Empiricism, on the other hand, makes both our knowledge of and the utility of, mathematics, ultimately as mysterious as Platonism. The most advanced modern science is at variance with the requirements of materialism but compatible with Christianity. Note carefully: compatibility is a logical relation. Two propositions are compatible if both can be true in the same possible universe. Physical science may not prove or even offer direct evidence for the existence of a deity, or set out to do so. It, like experience, begins with the assumption of a physical universe of three spatial dimensions plus time, at least until reasons appeared for questioning that assumption. Its presuppositions that this universe is both ordered (not chaotic) and that its order is comprehensible to the human mind, are suggestive. For are these presuppositions true? What does it mean to ask this? All of which brings us to the Danish philosopher Søren Kierkegaard (1813 – 1855). Some historians of ideas label Kierkegaard’s philosophy “Christian existentialism.” He himself had no label for it, and would have rejected such labels with contempt. And he would have been suspicious of the above presuppositions, which are just too easy — thrown into doubt by what we would today call “black swan” events: inherently unpredictable and destructive of our comforting mental edifices. Kierkegaard emphasized that God’s existence is impossible to prove. He singled out the design argument, popular in his day, and still popular now among many Christian theists, who use the term Intelligent Design (ID) even though the items of evidence ID theory relies on do not entail that the Designer must be the Christian God. The point Kierkegaard made: perceived disruptions in the design would cause the perceiver to throw out the whole of Christianity if this is its basis (cf. Philosophical Fragments, ch. 3), given the absence of logical entailment from ID to Christianity’s God. An agnostic friend once reasoned to me, “There’s no proof.” It dawned on me that day: that’s true, and it’s the key! Christianity is based on faith, on a Kierkegaardian “leap” (his term), and cannot be based on anything else. Lest the materialist rise up in a gesture of triumph and declare that we Christians have just given away the game, because materialism is based on reason / evidence, we must note immediately: no other worldview can be based on anything else. Materialist arguments do not work, i.e., are not compelling unless the materialist presupposition is introduced at the start and maintained throughout the argument. The presupposition, too, rests on a “leap.” Materialist naturalism seems to me refuted by recent findings of theoretical physics, the many experiences we have that do not align with it (mostly now subsumed under the phrase the hard problem of consciousness), as well as careful attention to what goes on with language and our understanding of it (is the grasping and understanding of a word or phrase a material process?). I know that materialists reading this will complain that I either haven't understood, or have misrepresented, materialism. It is a common ploy by defenders of a very basic idea to state that the critics do not understand it. Moreover, it is always possible to reinterpret experience so as to fit the favored point of view, usually by ignoring or discounting those elements that “don’t fit.” The point I would make here is, materialism is not a finding of any science. Nor does any scientific theory entail it, not even the ones on which there is largescale consensus, like Darwinian evolution. Those who believe otherwise, all they have to do is lay out the logic leading from specific findings of these sciences to the general thesis that materialism is a true account of reality. I submit that this cannot be done. Materialism is, if anything, a presupposition of a certain way of looking at physical reality alone through science. Empirical science, therefore, has not refuted Christianity, nor could it do so. Much modern philosophy of science begins by having science on an epistemic pedestal except for a few writers such as Paul Feyerabend (1924 - 1994): positivism and its immediate descendants. Remove it from this pedestal, and this becomes instantly and abundantly clear. But this must do for now. Normative matters require a far different discussion than we’ve provided here. I will turn to them in a future post. Just as a teaser: while it is possible to quarrel with Christian ethics, or claim that there are many points where the Christian worldview is unclear, all I can say at this point is, Christian ethics is no worse off than any of the available secular theories, all of which fail miserably if the idea is to establish them with something more than, “This is where I make my stand.” As for legal philosophy, I will invoke the idea of legal positivism: an idea that boils down to the law being what those with enforcement power say it is, no more and no less. Legal positivism stands unnoticed in the background behind social issues ranging from abortion to Kentucky clerk Kim Davis’s refusal to put her name on marriage certificates for gays, and behind Judge Bunning’s contention that natural law would set a terrible precedent. It would at that, because it would destroy the entire edifice of legal positivism that those who would change existing law wholesale depend on! But … I get ahead of myself. More on a future occasion. Where we will end up … there are propositions worth believing … even if you cannot prove them true! Indeed, we have no choice except to believe a few things we cannot prove: among the upshots of the Kantian “Copernican Revolution” in epistemology is that we are not “wired” to do otherwise! This ought to be compatible enough with all the modern and postmodern tendencies to be of some interest! Hoping to capitalize on the racial hysteria sweeping through the ranks of America despisers, religious socialist Jim Wallis published an excerpt of his book “America's Original Sin” in the February 2016 issue of his propaganda screed Sojourners Magazine. Apparently even an economic egalitarian such as himself can't resist the temptation to invoke the privileges of rank, ownership and hierarchy. Does this raconteur in the coming months intend to run similarly titled essays referring to other ethnicities and demographics? For nowhere in the canon of Scripture and the corpus of systematic theology or Christian ethics can one find justification for looting beauty salons for hair care products or boxstore retailers for the latest electronics over a police action or jury verdict with which one happens to disagree. Nor can one find justification in the divine revelation for an illegitimacy rate pushing nearly 75%. And perhaps even more importantly, where in Christian tradition is it acceptable for these deadbeats to send their women out to work (if they even work at all) while these so-called men stand around all day drinking in allies or smoking pot in their basements? Longterm unemployment the result of economic downturns might be one thing. However, these urban vagrants don't even make an effort to forage for abandoned scrap metal or to use their ubiquitous smartphones to peddle second hand goods or small handcrafts through an assortment of social commerce venues. Dr. Pyle further laments, “Usually my teachers were well read in good and great literature, which included the Bible, and it showed up in class.” And what exactly did this great literature consist of? Shakespeare? It may come as a surprise, but the plays of Shakespeare were the Star Trek of their time because --- while we consider them highbrow literature today --- these dramas were performed primarily as popular entertainment. Paying homage to this tradition, Star Trek has often employed Shakespearean allusions and motifs throughout its history. The most thoroughgoing separationists ---- the term in this sense meaning those that choose not to ecclesiastically affiliate with those of differing religious viewpoints rather than those misinterpreting the First Amendment --- contend that Lewis must still be avoided since to have a witch in a story in any capacity is a violation of II Corinthians warning the Christian to touch not the unclean thing. As evidence, Swanson cites Laura’s refusal to say "obey" in her wedding vows. However, it must be remembered that these are simply a cultural manifestation of a Biblical imperative and despite popular conceptions to the contrary aren’t spelled out verbatim in the pages of holy writ. An Analysis Of Francis Schaeffer's "The Church At The End Of The 20th Century"
Francis Schaeffer has been characterized as an Elijah to the late twentieth century. Though not as inspired in the same direct sense as his Biblical forebears, Francis Schaeffer did articulate a vision of the future remarkable in its accuracy and a message startling in its relevancy. Schaeffer was able to accomplish this by extrapolating from the cultural situation of the late 1960's and early 1970's and projecting these trends into the future where the implications of these assumptions would have the time necessary to fester over into a comprehensive dystopian milieu. Schaeffer's "The Church At The End 20th Century", from a standpoint a tad less than nearly a half century in the past, explored a world not unlike our own where Western society has abandoned its Judeo-Christian foundations and stands poised to lose not only its order but also its liberty as a consequence. Throughout the corpus of his life's work, Francis Schaeffer categorized ideas as the primary force motivating history. Richard Pierard in "Reflections On Francis Schaeffer" says regarding Schaeffer's philosophy of history, "People's world views or presuppositions determine the direction of their political and social institutions and their scientific endeavors (199)." "The Church At The End Of The 20th Century" attempts to show how such distorted thinking comes to impact the structures of civilized existence such as the institutions of government and culture. Francis Schaeffer concluded that the confusion and chaos rampant at the end of the twentieth century were traceable to the rejection of the Judeo-Christian foundations upon which Western civilization once sat. However, as a result, modern man has not drifted along as before, blissfully unencumbered by the burdens classical theism strove to address. Instead the whole world has pretty much started falling apart. In the first chapter titled "The Roots Of The Student Revolution", Schaeffer provides a summary of the streams of thought he saw as establishing the backdrop of the contemporary world drama. Having abandoned the Judeo-Christian worldview, modern man has also forfeited many of the benefits inherent to that particular body of thought. Being the God of both the physical realm and its order as well as the realm of the spirit and its yearning for freedom, those turning their backs on the God of the Bible inevitably end up losing an essential balance between these two pillars of existence. Much of the social confusion characterizing the contemporary world is understandable in terms of these extremes dancing unfettered across America's cultural landscape. In the mind of Schaeffer, philosophies and perspectives seemingly light-years apart to the casual observer were in the final analysis interconnected in that they stemmed from the same root problem. A number of thinkers who have abandoned Judeo-Christian principles have attempted to find ultimate answers in an understanding of science construed though their materialistic philosophy excluding life's spiritual component. Schaeffer referred to this approach as "modern modern science" (13). Schaeffer deliberately distinguished between modern science and modern modern science in an attempt to emphasize the difference between the two epistemological approaches. Schaeffer stressed that modern science in fact arose amidst a Christian framework. The methodology's earliest practitioners believed that one could understand the operation of the physical universe since it had been imbued with a sense of orderliness by its rational creator. However, modern modern science would step beyond the confines of such a paradigm to exclude the role of God by arguing that the universe is a closed system complete in itself. But by eliminating the need for a personal Creator, modern modern science also eliminates those aspects of man transcending the sum of his material parts or those qualities Schaffer cleverly referred to as “the mannishness of man”. When the cosmos is reduced to mere matter, man can no longer be seen as possessing those qualities that distinguish him from the proverbial furniture of the universe. Instead of arising as responses to metaphysical verities, things such as emotions, thoughts, and acts of creativity are reduced to nothing more than responses to electro-chemical biological stimuli. The aspirations the Declaration of Independence gives rise to become no different than the reaction to the gastrointestinal conditions sparking heartburn and may in fact possibly be interrelated. The hypothesis of man as little more than an empty bag of mostly water, as the infamous Crystalline Entity put it on one episode of “Star Trek: The Next Generation”, does not fit the data or provide much comfort on a cold night when we consider the aspects of existence seeming to rise above the immediacy of our biological functions. Such inadequacy no doubt provokes a response from those not willing to accept how divine revelation fills in these blanks but who realize that the cold scientism of Mr. Spock does not quite cut it either. Schaeffer pointed out that assorted brands of mysticism are often, surprisingly, the children of scientism's ultimate consequences. With rationalism found wanting, modern man feels he must step beyond reason and make what Schaeffer refers to as "a leap upstairs" in order to find meaning in nonrational experience. Writing along similar lines, James Sire says of existentialism in "The Universe Next Door", "....against the absurdity of the objective world, the authentic person must revolt and create value (100)." Values are not arrived at in a rational manner through contemplation upon transcendent criteria but through an intuitive choice based upon feeling much more akin to a mystical experience whether we decide to embrace New Age pantheism or various forms of political activism. In such a situation, one is reminded of the famous statement in "The Charge Of The Light Brigade": "Ours is not reason why. Ours is but to do or die." The human heart realizes that there are things worth valuing beyond the concrete material universe even if it cannot justify the basis for this belief. However, when rational standards are abandoned, chaos of some sort is usually bound to follow. Perhaps the most ironic thing of this entire discussion is that, the further each alternative gets from the Judeo-Christian standard, the more allegedly objective rationalism and subjective romanticism come to resemble one another. Schaeffer argued that, without some kind of transcendent reference point, even the imposing intellectual monolith of contemporary science breaks down into personal preference and social utility. Schaeffer illustrated this by highlighting how Cambridge Anthropologist Edmund Leach preferred a theory of evolution whereby all human races descended from one common ancestor rather than arising separately from one another (92). Leach based such a conclusion on no other criteria than that the theory of a single common ancestor fit better with the notions of racial harmony. No longer are scientific decisions to be made in light of the facts or data available at the time but in reference to the same kind of subjective criteria by which we would decide whether to wear a red or blue tie to work tomorrow. Right answers and wrong answers become predicated on their usefulness to society or at least to those wielding power. One might say objectively that objectivity is not quite what it use to be. Things might not be so bad if adherents of these worldviews sat in a corner and kept quiet amongst themselves. Yet the ironic thing is that those convinced that no objective truth exists seem the most bent on inflicting their version of it upon everyone else in the attempt to remold society in their own image. Regarding the application of secularist perspectives, Schaeffer was perceptive in realizing that ---- as in the realm of thought ---- these non-Biblical approaches to social organization end up in the same place as well. Schaeffer elaborates upon what he sees as three alternatives to a society built upon Christian foundations. Despite the differences in these systems, each bears a striking similarity. The first alternative Schaeffer warns about is hedonism, defined as each doing their own thing. The second alternative is what Schaeffer refers to as "the dictatorship of 51%" or what social scientists and political theorists classify as pure democracy where there are no absolutes or standards beyond what is determined by the electorate, in a focus group, or by a committee. The third possibility Schaeffer foresaw was some kind of dictatorship, either in the form of one-man rule or by an elite technocratic bureaucracy. As with scientism and the subjectivism from which the aforementioned approaches to politics and social organization derive their foundations, it would seem on the first view that anarchism and the various forms of authoritarianism would have little in common. But once again, closer investigation reveals that each shares a startling degree of similarity. Anarchy promises liberation through the abolition of all traditional standards and institutions. This is either an empty promise or the proponents of this particular outlook do not fully realize what they are advocating. Without eternal standards through which rights and property are respected, freedom rests on a most precarious foundation. For while the adherents of the various form of Leftism claim to stand for freedom and rights, this concern extends only to those professing an ideology similar to their own or pursuing related ends. Schaeffer illustrates this in the case of one student radical in Paris who told a caller to radio program, "...you just shut up --- I'll never give you a chance to speak (Schaeffer, 32)." So much for freedom of expression. One cannot argue that such incidents merely reflect the heat of the moment and do not represent the true sentiments of those advocating total social revolution. Similar sentiments have been expressed by the very theoreticians of this movement as normative operating procedure. Herbert Marcuse is quoted in "Left Of Liberal" as saying, "Certain things cannot be said, certain things cannot be expressed...which promote aggressive policies, armament, chauvinism, discrimination (Bouscaren, 13)." In other words, those seeking a world of absolute decentralization in terms of morals just as much as politics would set themselves up as an elite imposing their own arbitrary standards with the same radical rigor they employed in their conflict to rend asunder the traditional order. Francis Fukuyama, author of the acclaimed "The End Of History & The Last Man" noted in a May 22, 2000 Time magazine article titled "Will Socialism Make A Comeback" that a socialistic anarchism will come to exert influence over the world of the twenty-first century without having to assume the formal reins of government by orchestrating disruptive protests like those that now regularly taken place during global financial summits in an attempt to alter world policy. Francis Schaeffer has been with the Lord since the early 1980's. Yet the thought of this visionary Presbyterian continues to provide considerable insight into a world tottering on the edge of chaos and encouragement for Evangelicals having to navigate a variety of perplexing issues. Schaeffer realized that one could not avoid the dangers of the contemporary world by simply ignoring arenas such as politics and other forms of social engagement since such forces have the power to impact all facets of existence in a mass society. Schaeffer addressed the impact of worldviews upon different aspects of culture in the chapter "Modern Man The Manipulator". Particularly startling is the accuracy of Schaeffer's predictions regarding technological development. Schaeffer warned, "Very soon, all of us will be living in an electronic village hooked up to a huge computer, and we will be able to know what everybody else in the world thinks. The majority opinion will become law in that hour (97)." Today, this prediction finds itself on the verge of fulfillment. Leaders such as Newt Gingrich and as far back as Ross Perot have suggested that the networking capability of the Internet be utilized for the purposes of referenda in order to decide major issues facing the nation. However, Schaeffer correctly warned of the manipulation likely to result from the use of this technology by and against individuals not adequately grounded in the truths that do not change regardless of the latest digital innovations. The Information Superhighway can take the websurfer either to the accumulated knowledge of mankind or the electronic equivalent of a red-light district. Some will dismiss Schaeffer's injunctions as Evangelical eschatological hysteria, especially when he speculates about the bio-electronic manipulation of individuals in reference to a May 22, 1970 International Herald Tribune article about monkey controlled by radio receivers implanted into their brains (98). That is until one reads the May 22, 2000 edition of Time Magazine predicting that prison guards may someday be obsolete thanks to implantable biochips that could be used to modify inmate behavior. Then one realizes that Francis Schaeffer’s understanding of human nature is truly holistic, comprehending the present in light of the past and the future in relation to the present. 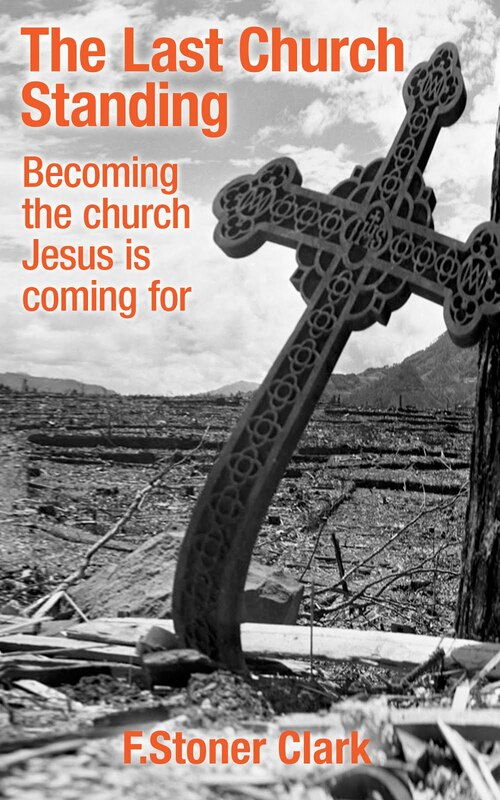 It would not be much of an overstatement to say that Francis Schaeffer played a primary role in awakening Evangelicals to the precarious state of the world around them. One cannot discount the influence of Schaeffer upon the contemporary Evangelical mind. Regarding Schaeffer’s influence, Clark Pinnock writes in "Reflections On Francis Schaeffer", “He [Schaeffer] enlisted in this task fundamentalists like Jerry Falwell and Tim LaHaye who, although they were world-denying dispensationalists at first, quickly became culture-reclaiming activists (Pinnock, 179).” In other words, Schaeffer helped Evangelicalism realize that the world and human endeavor possessed value beyond the number of souls that could be saved, central though individual salvation may be. Schaeffer in no way sought to undermine the centrality of the individual, but rather hoped to expand Evangelical concerns to encompass all areas of thought and creation since the God the Christian served was the master of these as well. It was out of this sanctity for the individual created in the image of God that Schaeffer believed it was imperative for believers to engage in these other areas. Key to accomplishing this mission, Schaeffer believed each individual must take stock of their personal beliefs. Schaeffer often lamented that most people caught their presuppositions like they would the measles ---- quite haphazardly. Such reflection was just not to be a Sunday school exercise. Schaeffer saw it as groundwork for intensive apologetic conflict and engagement with a decaying world. 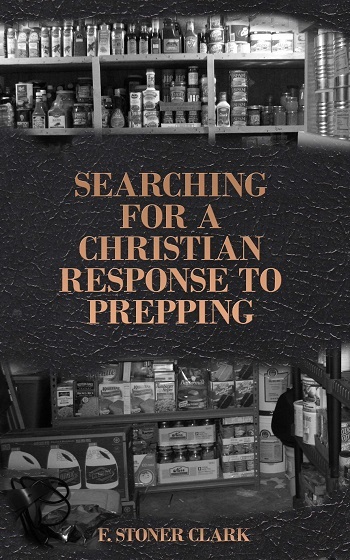 Though himself a Presbyterian minister and evangelist, Schaeffer hoped to inspire Christians to get involved as salt and light in all academic disciplines and intellectual pursuits. Schaeffer said that the best thing a Christian scientist could do would be to invent a computer for the individual designed to counter the centralizing tendency of intrusive databases (Schaeffer, 99). No where did he conclude that learning was off limits to the believer since it had often been employed for questionable purposes.